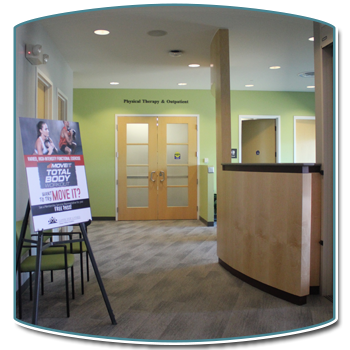 As a certified medical fitness center, Powell Wellness Center (PWC) takes a unique approach by pairing fitness and wellness. We focus on community health, and our exercise classes are structured so that people of all ages and backgrounds can safely improve their health, physical fitness, and athletic performance. In addition, group exercise classes are a great way to meet new people and enhance your exercise routine — no surprise that group exercise classes are one of the most popular activities at PWC! Led by talented and qualified instructors, our classes provide a way for members of all fitness levels to develop an exercise program that responds to their needs and interests and that is diverse and fun. We offer a variety of classes each week in our cycling studio and group exercise room. Classes include yoga, Pilates and Tai Chi as well as more aerobic activities like spin, Zumba® and BODYPUMP™, which offers strengthening and toning with barbells. Classes are available for people at all levels of fitness. Meet new friends and leave your inhibitions at the door! Our aquatic group exercise classes provide a great way to work out with very low impact in our inner pool, lap lanes, and river. Classes include low intensity Fluid Motion for flexibility and strength, Aqua Blaze interval and tabata workout, aqua volleyball and aqua yoga, plus more — like Aqua Zumba! PWC members have access to Culpeper Sport & Fitness (CSF), our partner center under the Culpeper Wellness Foundation, at no additional charge. CSF is a family-centric fitness center offering group exercise classes, sports performance training, tae kwon do and three indoor tennis courts that are also available for Pickleball. Additional adult fitness programs include Move It high intensity training and B-Board® balance board classes. Choices for kids include youth bootcamp, tumbling, tennis and tae kwon do. In 2017 the Foundation renovated Culpeper Sport & Fitness, installed new equipment, and added new programming. CSF is located on Industrial Drive in Culpeper, Virginia — stop by and check it out. It’s important to be comfortable when working out. Proper athletic attire is required and typically means athletic shirts and tops, shorts, or workout pants. Shirts must be worn at all times. Jeans, street shoes, sandals, or office shoes are not allowed on the fitness floor. Sandals may be worn in the locker rooms and aquatic areas. Water shoes are highly recommended for aquatic classes. Hydration is essential for a safe and effective workout. We encourage you to drink lots of water or an electrolyte replacement beverage when exercising. It’s mandatory to bring water and a towel to all cycling classes, since you’ll really work up a sweat. All non-fee-based exercise classes are first come, first served. 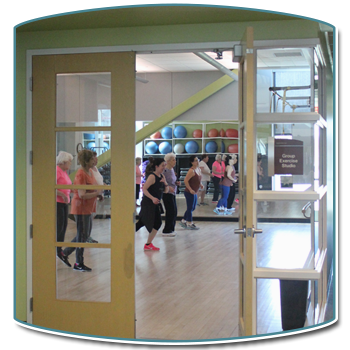 For your safety and the consideration of other members, there is no admittance to group exercise classes five minutes after classes have started. If you need to leave the class early, please inform the instructor. Some classes are offered at an additional fee. These fee-based classes include Boot Camp, Pilates Reformer, TRX, and small group training programs. These classes require pre-registration and payment in advance.